NBC 6's Johnny Archer reports on the latest details related to the arrest of American rapper Kodak Black. 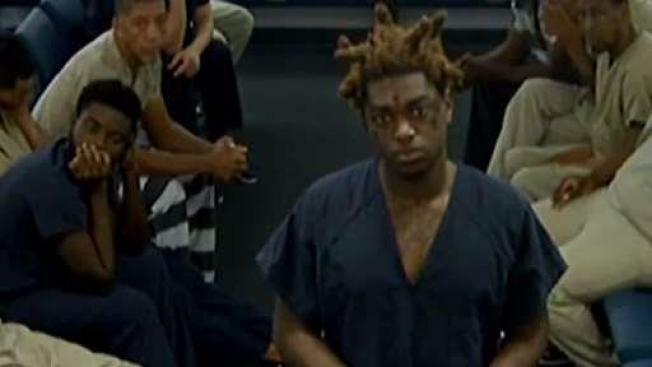 South Florida based rapper Kodak Black will remain behind bars after his latest arrests on multiple charges that include weapons and child neglect charges. The rapper, a Pompano Beach native whose real name is Dieuson Octave, faced a Broward County judge on those seven charges, two of which include probabtion violations that carry no bond and will keep him in jail until they are resolved. The 20-year-old, widely known for the song "Tunnel Vision," is also being held on two counts of probation violation stemming from previous jail stints - including violating terms of house arrest in Broward County. According to a police report, several men recorded a live Instagram video inside the bathroom of Octave's Pembroke Pines home that showed the men smoking marijuana and possessing a handgun. Investigators say a small child enters the room as did Octave, who did not make an effort to remove the child. Detectives entered Octave's home on Thursday, where they say they found marijuana in his bedroom - including almost 95 grams in his closet. Officers also found a gun insde a bedroom safe as well as another weapon in the house, with both the drugs and weapons being a violation of his probation.